This is such an easy salad to put together, it is fresh and full of nutrients and so flavorful! 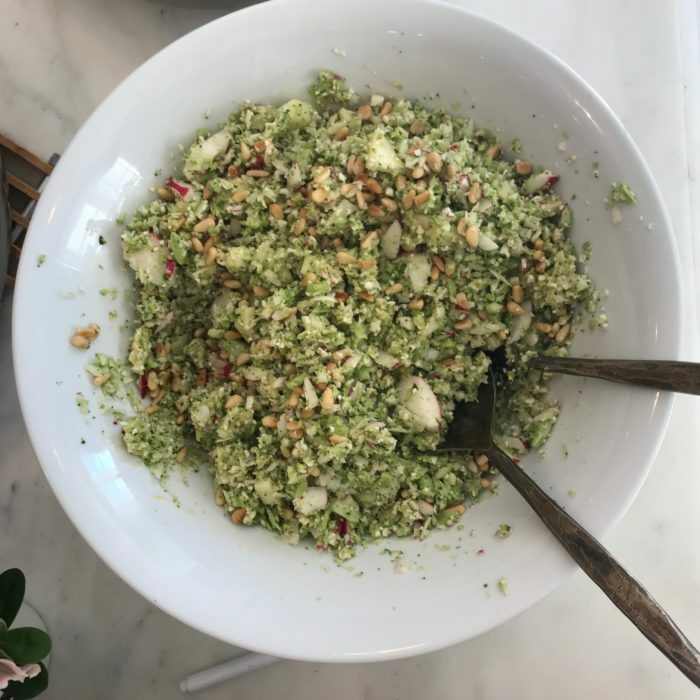 Place the broccoli, cauliflower and radishes into a food processor and pulse ( only a couple of times) until it resemble small grains. Place all the vinaigrette's ingredients in a large mason jar and shake it well until combined. Pour over the salad and toss together. Finally sprinkle the roasted pine nuts on top and enjoy. I do add grated parmesan sometimes to give extra flavor, but this is optional, it tastes delicious either way.